The building on the northwest corner of South Magnolia Avenue and East Second Street in Downtown Sanford, Florida. The building was designed by architect Elton James Moughton. As of 2012, the location is being used as a parking lot. 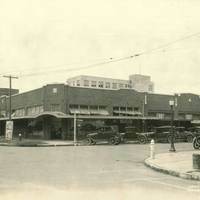 The Seminole Hotel, later renamed the Florida Hotel, can also be seen on the far left in this photograph. The hotel, which was located at 101 East First Street, is also known for housing the office of W. T. Cotter, a local architect, in the 1880s. Original black and white photograph by Woodward: item 14264-JJ4: Elton Moughton Archives, Private Collection of Christine Dalton. Digital reproduction of original black and white photograph by Woodward. Woodward. 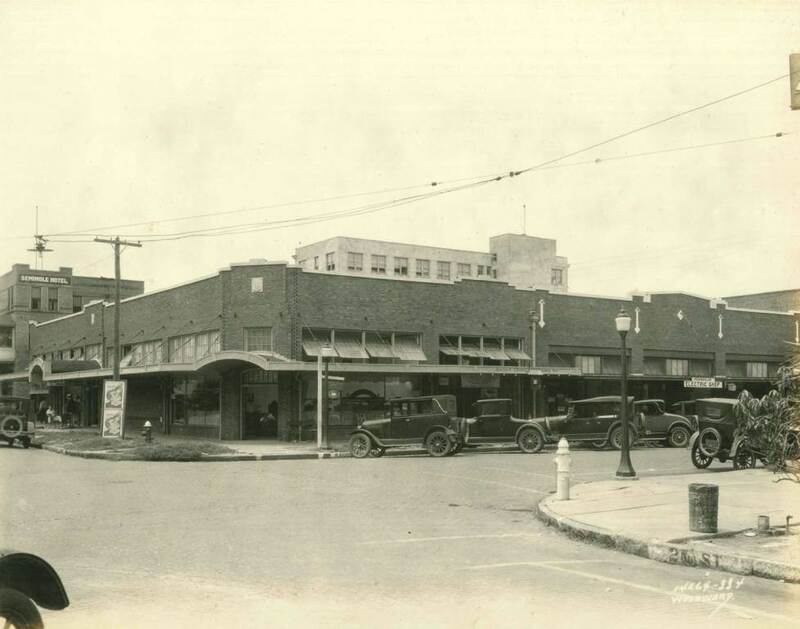 “Northwest Corner of South Magnolia Avenue and East Second Street, 1924.” RICHES of Central Florida accessed April 20, 2019, https://richesmi.cah.ucf.edu/omeka/items/show/5433.